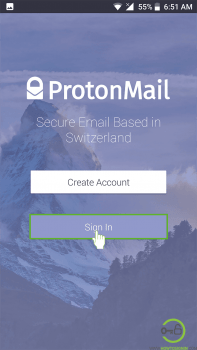 Protonmail is a webmail service based in Switzerland. In this world of hundreds of email service providers, it is gaining popularity due to its unmatched security and privacy it delivers. 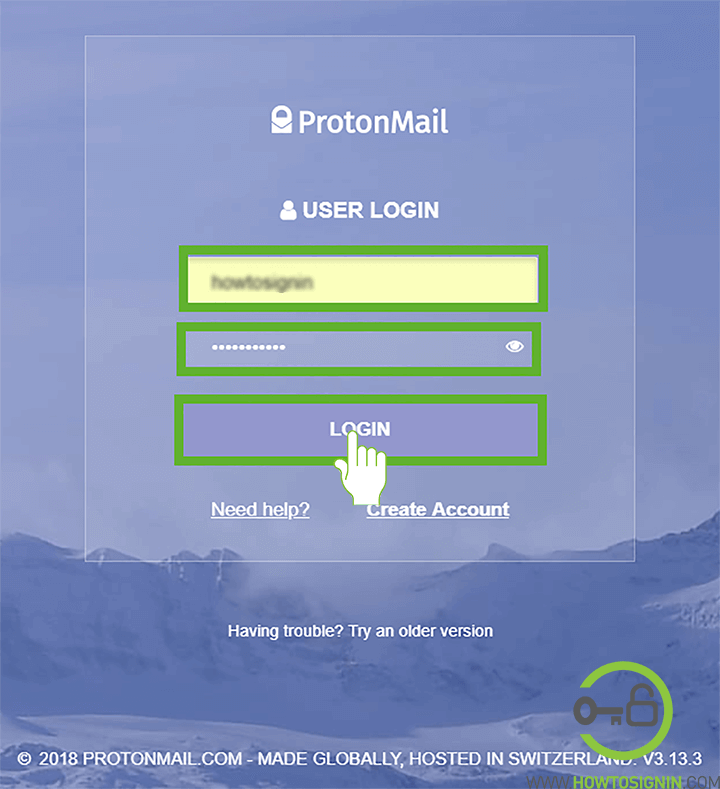 If you don’t have an account, Sign up for ProtonMail. With ProtonMail login, you can send securely encrypted emails. Sign in process is easy and can be done from mobile app or web-browser. 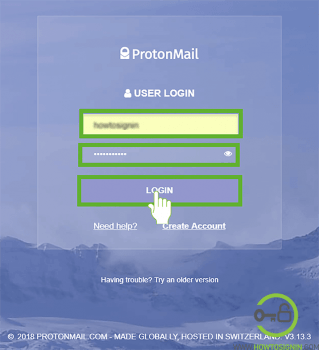 You can access ProtonMail from any web-browser. It also works on any device either it is a laptop, desktop or mobile. Visit ProtonMail.com from any browser. Click on “Log in” option that lies towards the top left corner of the page just before Sign up option. Now you will reach a login page. Enter the username and password of the account that you want to sign in with and then click on “Login”. There is not any ‘keep me logged in option’. This means you will be logged out of Protonmail as soon as you close the tab in which you have opened Protonmail you will be signed out. You must enter the password every time you want to use Protonmail. This might be annoying sometimes, but Protonmail does not want to compromise with the security concern of their customer. 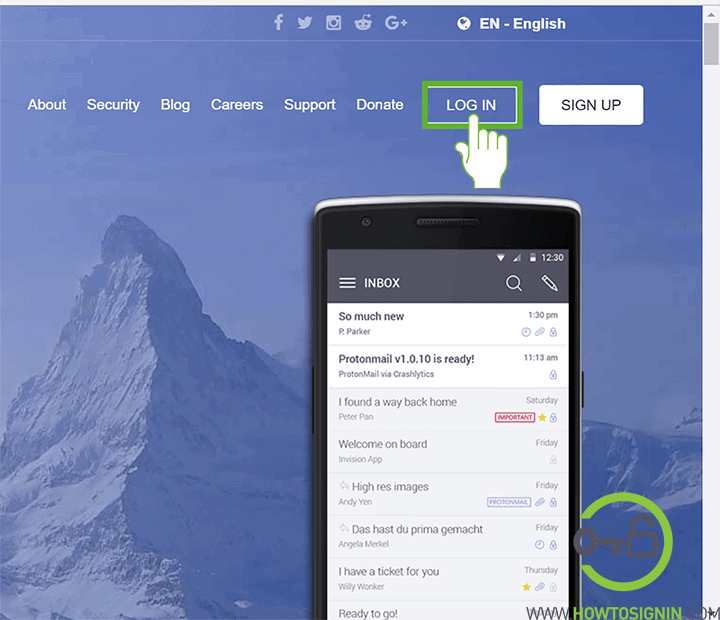 After successful login, you can manage emails from the site. You can also Sign in Protonmail using a mobile app. Follow the steps below to access ProtonMail from mobile. Go to the menu of your smartphone and then tap on Protonmail app. Tap on “Sign in” option on the homepage. In the log in page, enter the username of the account that you want to sign in with. Now insert the password associated with the account you just entered and then tap on “Sign in”. 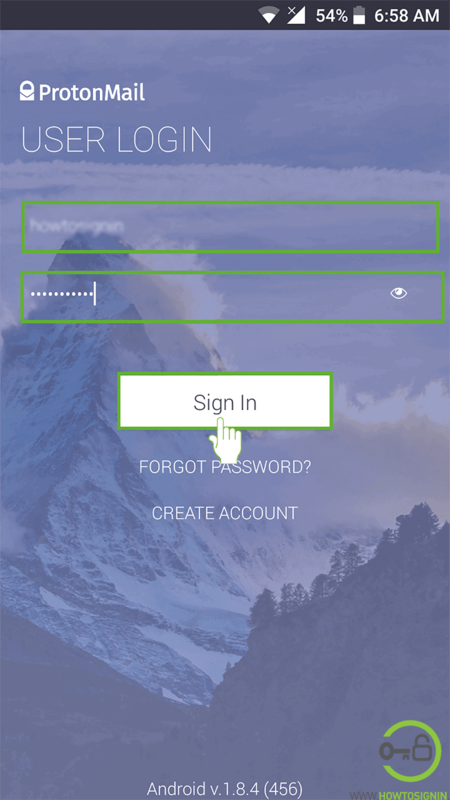 If you want to see what you have entered as password tap on eye icon at the end of the space provided for entering password. A sub-screen will appear informing you about the functions of Protonmail; if you don’t want to see them tap on “Close Tour” option at the top right corner of sub window. 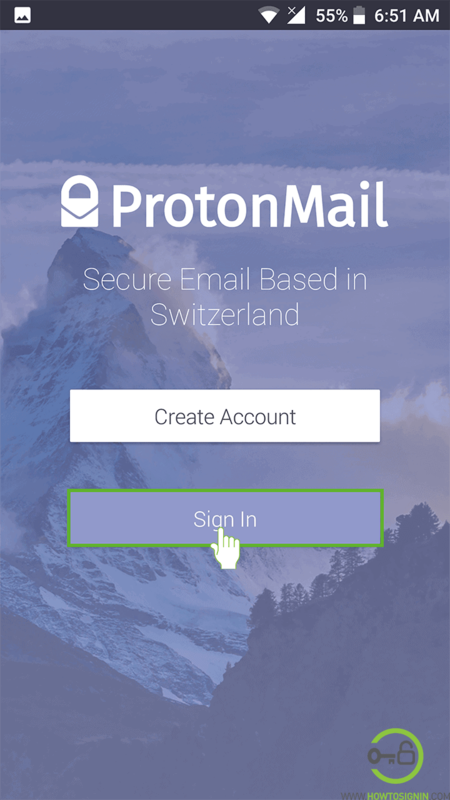 Finally, you are all set to use Protonmail mobile application to send and receive mail on your smartphone.